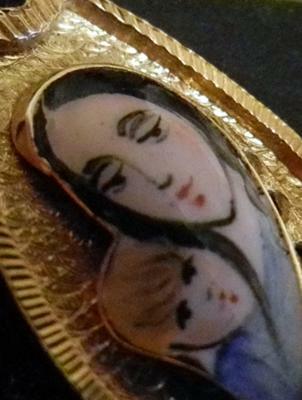 Beautiful 18kt pendant- Madonna and child? 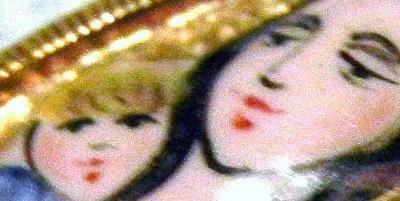 The hallmarks are a (5 pointed star, 1523 and AL).The front has a beautiful picture that us enameled/handpainted? Where is it from and how old do you think it is. Thanks, any info is appreciated.